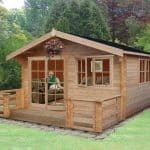 This is a sensational looking wooden log cabin with large double doors complete with glass panels and a fully functional toughened glass window. 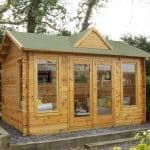 Ideal as an extension to your home, additional living space or somewhere to relax and escape the outside world. 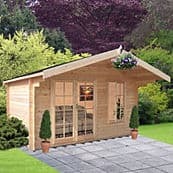 Whatever you use it for it makes a stunning additional building be it for occasional drinks with friends or hours relaxing and kicking back or to hang out with the rest of the family! 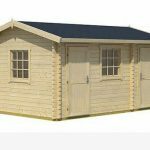 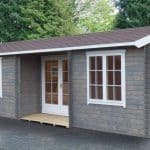 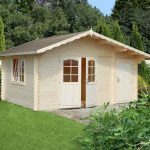 Constructed out of long lasting and hard wearing wood and with an Apex style roof – you’ll wonder what you did without it! This product is home delivered.